Obedience and manners training aren’t just for puppies. It’s also a great way to engage with your older dog to keep your pet fit both mentally and physically while reinforcing social skills and the bond you share with your loyal companion. Puppies are generally associated with needing manners and obedience training, but adult and senior dogs can benefit too. Naturally, older dogs may not be up to the rigors of agility training, but there are always new things to learn or a refresher course to keep your pet on track. You might think that an adult dog is too old, tired, stiff, or incapable of learning anything new. However, it’s not all about learning something new or advanced. Sometimes it has a lot to do with keeping your pet as healthy as possible going into senior years. Similar to humans, a senior dog will benefit from being physically and mentally active. Before beginning a training class though it’s wise to visit the vet and get a clean bill of health for your pet before starting a new regimen or engaging in a manners or agility course. 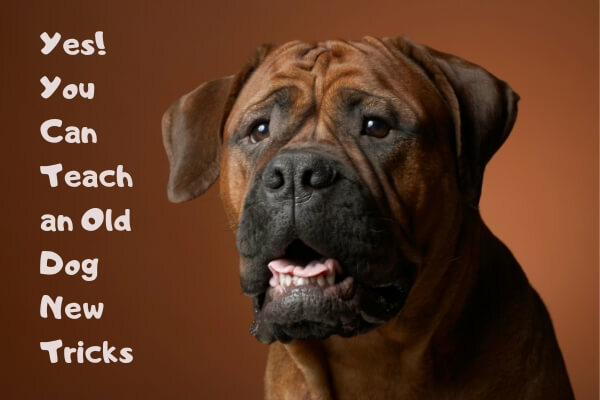 Many adult dogs who need loving homes aren’t adopted because they appear timid or too assertive while others don’t understand or heed basic commands and jump up or bark at visitors. Enrolling in a manners or obedience training class would be ideal for learning the basics and socialization with other dogs and their owners. It’s also a great way to bond with your newly adopted pet. By your own observation or an evaluation by the vet, you can determine how much and what your dog’s mind, body, and spirit can handle. You may need to adjust the training program due to cognitive or physical challenges like impaired vision or hearing or stiffness in joints. Even if sessions are shorter or your pet needs more breaks in between, keeping your dog active promotes physical, mental, and social well-being. Plus, the experience is enriching for both of you. 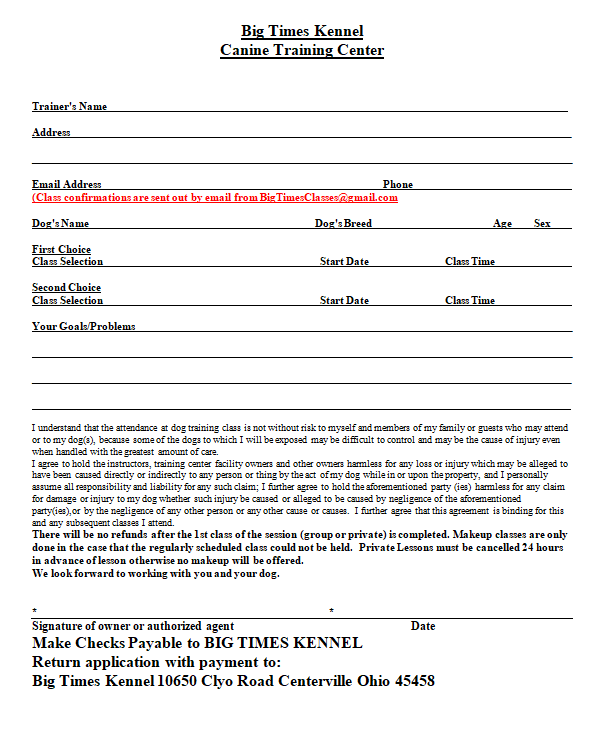 Big Times Kennel offers basic and advanced Manners and Obedience Training, as well as four levels of Agility Training which covers all ages of dogs, skill levels and capabilities. Check out our Dog Training page for more information and the upcoming class schedule. To enroll, print out a registration form or give us a call at 937-885-3427 if you have any questions.